Nodding off during a meeting or while riding on public transit is a common experience. Though many of us think nothing of dozing for a few moments while reading a book or waiting at a doctor’s office, these types of incidents may indicate one of the most common and dangerous consequences of sleep deprivation: the microsleep. A microsleep is a brief period of light sleep that happens suddenly and without intention. 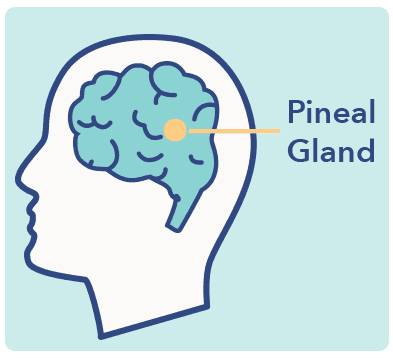 This form of sleep occurs when the brain shifts unexpectedly between the wake and sleep states, and parts of the brain shut down. (1) A microsleep typically results from lack of sleep, sleep disorders, or taking medications with sedating side effects. A microsleep can last from a fraction of a second up to about fifteen seconds. These episodes are characterized by a momentary lack of response to external sensory stimuli, changes in brain wave activity, and behavioral symptoms such as head-nodding and closing of the eyelids. Note: The content on Sleepopolis is meant to be informative in nature, but it shouldn’t be taken as medical advice, and shouldn’t take the place of medical advice and supervision from a trained professional. If you feel you may be suffering from any sleep disorder or medical condition, please see your healthcare provider immediately. Other signs of microsleep include loss of attention, a feeling of unusual sleepiness, and reduced muscle tone. A blank stare and eye-rolling are other common indicators. A person who experiences the feeling of “jerking awake” without intending to fall asleep may have just slipped in and out of microsleep. Some parts of the brain show increased wakefulness activity during a microsleep episode, including those associated with sensory processing and paying attention. This “leveling up” may be the brain’s attempt to counteract the effects of putting some essential functions temporarily to sleep. The most frequent trigger of microsleep is sleep deprivation. (8). Insufficient sleep may be a result of a sleep disorder such as insomnia, sleep apnea, or narcolepsy, or due to environmental or lifestyle factors such as night shifts or long working hours. 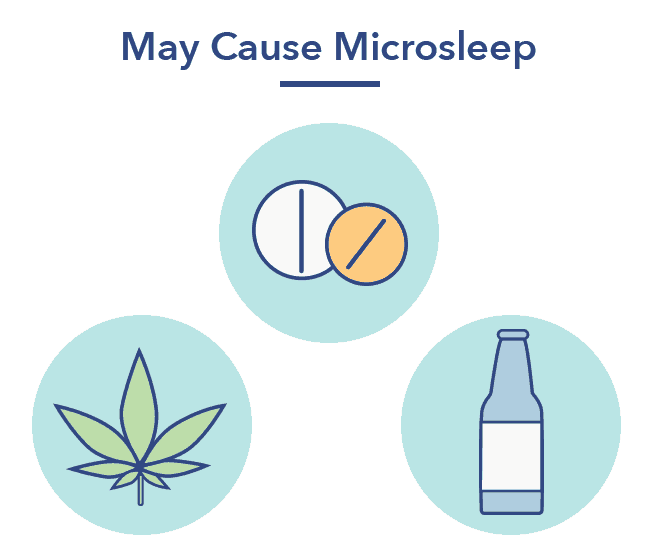 Certain medications may also induce the feeling of excessive daytime sleepiness or drowsiness, which can raise the risk of microsleep. Boredom or monotonous, repetitive tasks may trigger microsleep even in a person who gets the recommended seven to nine hours of sleep each night. 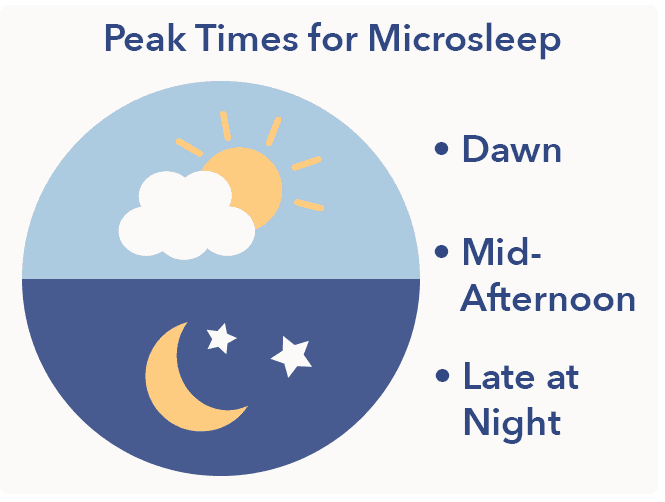 Microsleep is most likely to occur during times when the circadian rhythm dictates the body should be asleep, such as at dawn, late at night, or in the mid-afternoon. Studies show that vehicle accidents are most likely to happen between 1 and 4 am and 1 and 4 pm. Prolonged sitting and warm ambient temperature may also increase the feeling of sleepiness, and raise the risk of a microsleep episode. Local sleep occurs when parts of an otherwise awake brain shut down and go to sleep, either briefly or for a longer period of time. While it is normal for the brain to rest areas that aren’t currently in use, sleep deprivation may cause a brief shut-down of essential brain functions, such as those needed for attention, processing stimuli from the environment, and decision-making. (10) Poor coordination may result when local sleep impacts areas of the brain essential to movement and muscle control. Microsleep might be suspected due to symptoms of extreme sleepiness, eye closing, and head-nodding, among others, though brief episodes of microsleep may pass unnoticed. A medical diagnosis of microsleep may require a sleep study to examine brain activity. 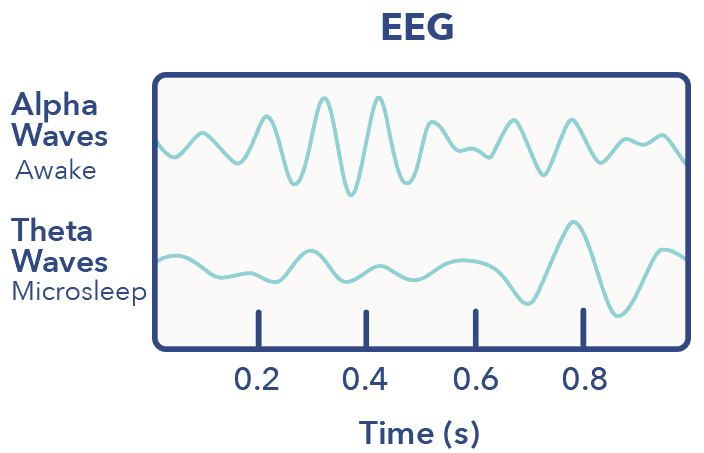 This activity may be measured by EEG or polysomnography, which measures brain waves, heart rate, blood oxygen levels, and movements of the eyes and legs. There are other tests which rely on more visible factors, such as blinks, frequency of yawns, and speed of speech. Without a sleep study, however, it may be difficult to diagnose the length and severity of microsleep episodes, particularly those that may be mistaken for a momentary lapse in concentration. Because microsleep episodes are unintentional, they may happen at inconvenient or unexpected times. They become dangerous when they occur while driving, (14) working in environments where remaining alert is crucial to safety, or parenting small children who require continuous attention. A person experiencing a microsleep may be unaware that they’ve slept, believing themselves alert despite the loss of wakefulness. (16) This misperception can make microsleeps even more dangerous, particularly when experienced by those operating commercial or transit vehicles such as trains and buses. Microsleeping and sleep deprivation have been implicated in such incidents as the Challenger Space Shuttle explosion, the Chernobyl nuclear disaster, and the Exxon Valdez oil spill. Sleep apnea is caused by a partially or totally blocked airway, and frequently leads to interrupted, poor quality sleep. The condition can be aggravated by obesity, alcohol use, advancing age, and smoking. Sleep apnea sufferers may awaken dozens of times each night, leading to excessive daytime sleepiness and a higher risk of microsleep episodes. Insomnia is characterized by the inability to fall asleep, stay asleep, or fall back to sleep, or any combination of these symptoms. This type of sleep disorder may lead to fatigue, reduced attentiveness, cognitive dysfunction, and lapses into microsleep. Sleepiness may gradually improve while taking a medication, though this side effect might persist even with longer-term use of a drug. Some drugs may have a long half-life, reducing cognitive function and alertness for an extended period of time. Microsleep episodes may be caused by narcolepsy, a form of hypersomnia most commonly triggered by an autoimmune reaction. Narcolepsy causes the depletion of hypocretin, a neurotransmitter that plays an essential role in wakefulness. (18) Some narcolepsy patients have normal hypocretin levels, but may suffer from a kind of hypocretin resistance that renders the neurotransmitter ineffective. In narcolepsy, the normally distinct sleep-wake systems become dysfunctional and may overlap, raising the risk of microsleep episodes, disturbed sleep, and parasomnias such as sleep paralysis. Narcolepsy sufferers frequently experience “sleep attacks,” sudden and uncontrollable lapses into sleep. These are more severe than microsleep episodes, which are briefer and may not even be noticed. Because hypocretin has a stabilizing effect on wakefulness, the lack of this neurotransmitter appears to make sudden sleep attacks and microsleeps more likely. No amount of sleep may be enough to reduce the risk of sleep attacks and microsleeps in the narcolepsy sufferer. 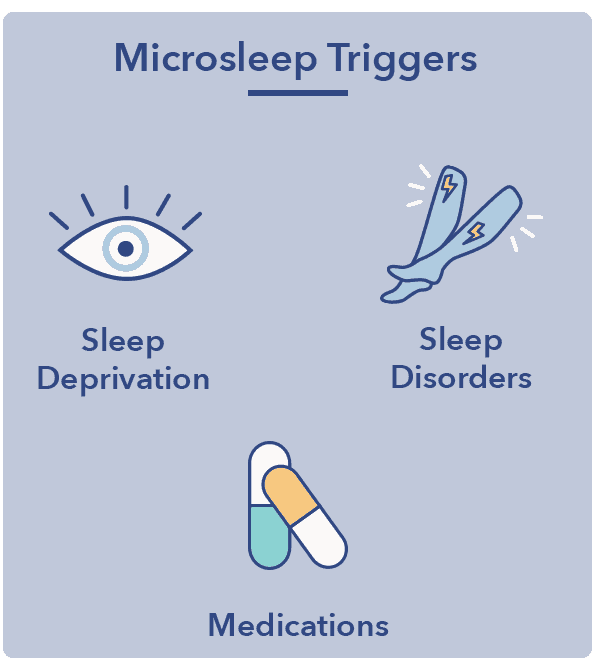 Treatment for microsleep depends on the trigger of the episodes, but frequently involves reducing or eliminating the causes of excessive daytime sleepiness and sleep deprivation. This may require treating underlying conditions or sleep disorders, making sufficient sleep a priority, or changing to a medication with fewer sedating side effects. Medications that improve sleep quality may help sufferers of insomnia and hypersomnia, and reduce the risk of microsleep episodes. Cognitive Behavioral Therapy for Insomnia may also help those with chronic insomnia get sufficient sleep. Cognitive Behavioral Therapy consists of several modes of treatment, including sleep restriction, stimulus control training, cognitive restructuring to reduce negative associations with the sleep and the sleeping environment, and relaxation training. Microsleep is a common and dangerous side effect of sleep deprivation, sleep disorders, and certain medications. Reducing the risk of these episodes lowers the chance of accidents and helps to make driving and working safer. Sufficient sleep is important for cognitive and physical performance as well as general well-being. The keys to avoiding microsleep episodes are adequate sleep, successful treatment of sleep disorders, and the recognition of sleep as an essential component of health.